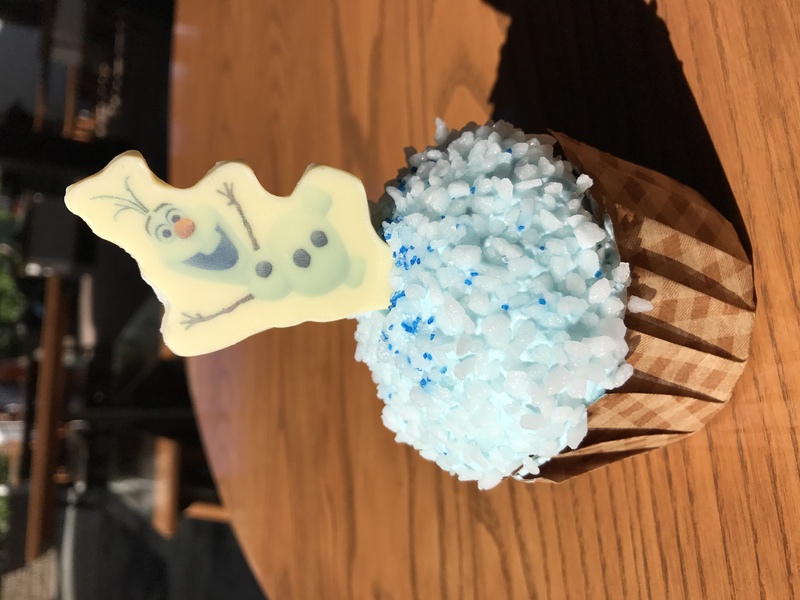 The latest seasonal specialty cupcake at Disney’s Hollywood Studios is celebrating Olaf from Frozen. The cupcake features chocolate cake with a marshmallow topping, and a white chocolate Olaf on top. 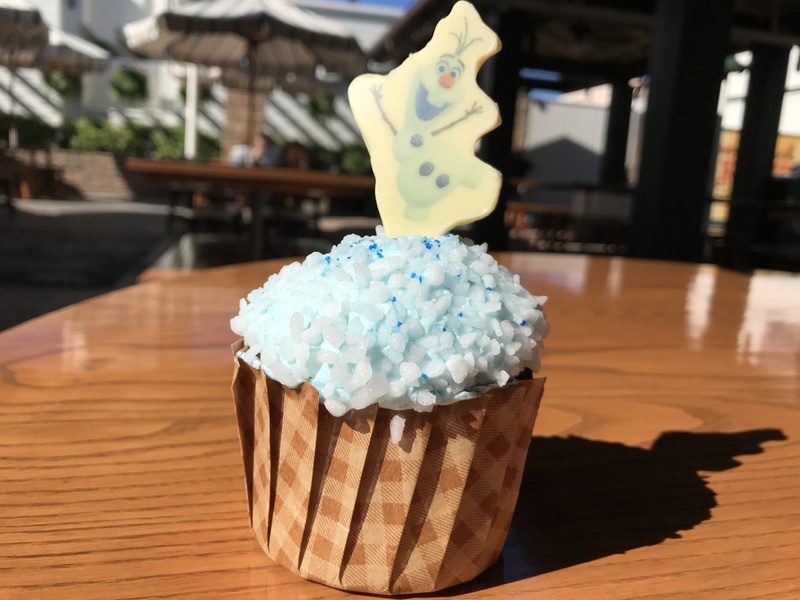 The cupcake is available currently at all of the Sunset Ranch Market eateries including Fairfax Fare, Rosie’s All-American Cafe, and Catalina Eddie’s for $5.59. The chocolate cake is not of the usual taste, it was lighter in the flavoring, more akin to a german chocolate actually. The frosting is marshmallow flavored and features crunchy “sugar crystals” on top of it. Overall, it is a pretty solid cupcake, but not my favorite. A marshmallow filling in the middle would have been neat and maybe helped with the lighter chocolate flavor of the cake. The icing also has a somewhat strange, toothpaste like consistency. It’s a good cupcake, but you should probably just save room for a different snack at Disney’s Hollywood Studios.